"The Lost Broadcasts are a series of DVDs featuring performances that have rarely been seen since the original transmission on German television, in some cases more than forty years ago. 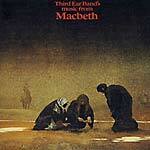 Third Ear Band was an experimental music group founded in London by Glen Sweeney in 1968. Their first album Alchemy was released in 1969 and actually featured British radio DJ John Peel on jaws harp. Three pieces were filmed on the 11th of September including the unreleased 'Hyde Park'. The other two tracks were 'David Grocking' and 'In D', which is thought to be 'Raga in D'. 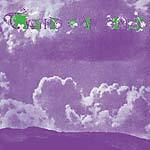 'Druid Grocking' was played during a John Peel Top Gear session in the summer of 1969 and is an extended workout of the song 'Druid One' from the Alchemy album. 'In D' is a piece originally recorded at the sessions for the debut album Alchemy. The band returned to the studio to film once more on the 26th of September and this time performed another slightly shorter version of 'Hyde Park'." NTSC All Region format.